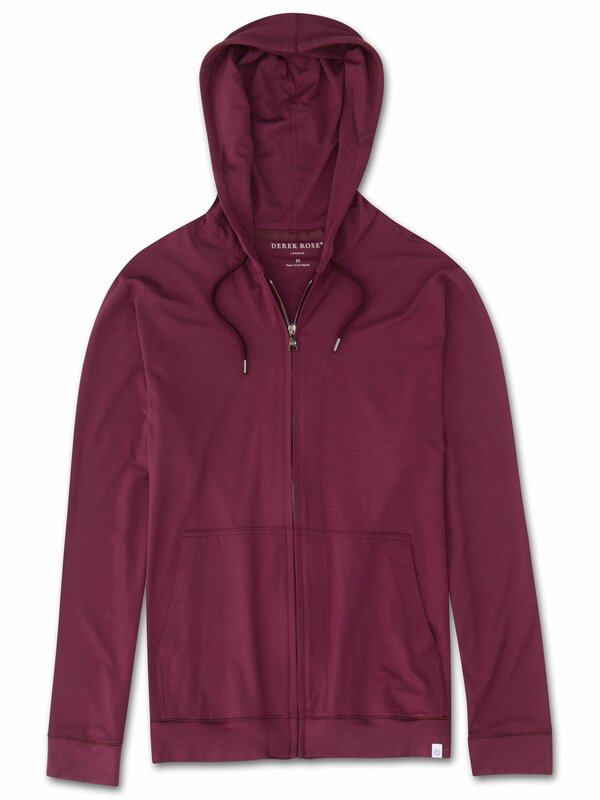 Our Basel 5 hoodie puts a luxurious twist on the classic hooded top with its sumptuous micro modal fabric. This specially developed blend is ultra-soft and doesn’t pill, making it able to withstand heavy duty lounging as well as outings to the gym. To complement the superior softness of our Basel 5 fabric, we chose refined trims (trying out countless zips along the way, in order to find the smoothest) in gunmetal grey and added kangaroo pockets to keep your hands warm and your phone safely on your person. We wanted our hoodie to retain all of the functions that were in mind when Champion first designed theirs nearly 100 years ago. We made it lightweight and easy to throw on, with details such as soft cuffs and a generous drawstring hood to help retain heat. Our sophisticated take on this practical garment means that grabbing it on your way out to the shops will keep you from looking unkempt as well as keeping you warm. Not only is the Basel 5 soft, but thermostatic properties in the micro modal fibres allow them to react to changes in temperature and regulate your body heat. The Basel 5 fabric retains its initial softness and is also environmentally friendly; made from sustainably forested European beech trees using a process that is carbon neutral. Wash after wash the rich burgundy red maintains its colour and the shape returns to it's original design, even after being stored on a hanger for long periods.